I'm glad to see this. Welcome to the party, Apple. iOS has supported IPv6 over Wifi for some time, so it looks like only the LTE support is new. 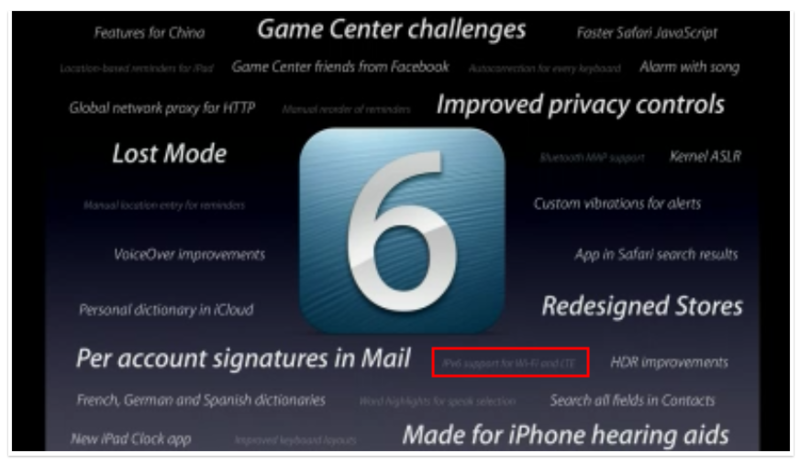 Listed below are links to blogs that reference this entry: iOS 6 will support IPv6 over LTE.